The Witness, the gorgeous puzzle game being developed by Braid creator Johnathan Blow, is a game I'm really looking forward to. I'm not especially enamored with, or even good at, puzzlers, but I dig games that give me interesting environments to explore and reward me for picking up on things that aren't immediately evident. Also a plus, from a personal point of view, is that I don't know much about it, which is a pleasant rarity in this line of work. One thing I do know, though, is that I'll be able to run it. And how did I come by this knowledge, you wonder? Through the magic of system requirements! The hardware breakdowns aren't as detailed as most, but the important thing is that if you're reading this, then the odds are good that you'll be able to run the game. Even the recommended spec is on the lower end of midrange, although obviously your definition of "midrange" may not match up precisely with mine. The Steam page doesn't have much more to say about it, so you can dig a little deeper into the game through our hands-on preview from April. 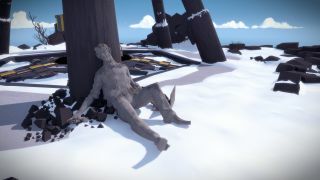 The Witness is set to come out sometime in January.